Update 21/08 - Gooooone. That was quick! Channel 10’s attempt to to reincarnate the dance reality show with Everybody Dance Now resembles the drunk IT guy trying to shake it in on the dance floor at the office Christmas party. Awkward, stumbling and just plain cringe-worthy. Everybody Dance Now (Or EDN if you're being supercool) uses the very hip-and-now 'Dance Battle' format in an attempt to elevate itself from the already overcrowded and very tired genre of tv dance comps. But the only battle on this show will be the battle to stay on air. Thoughts of dance battles conjure up scenes of Breakdance crews hustlin' for props from the flygirls on the streets of the Bronx in 1982. But instead, ballers, graffiti gangs and hip hop hustlers are replaced by burlesque, ballet and contemporary dancers. Not really genres of dance you'd think of with dance battling. Trying to bring high kicks and pirouettes to the streets just doesn't fly. Seeing these ‘battles’, you're just left with asking WHY? Looooong way to go before they get the street cred of Cold Crush and Charlie Chase's Wildstyle Basketball Throwdown. 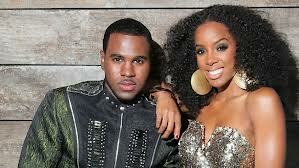 But possibly the most painful part of the show are the team Captains - Jason Derulo and Kelly Rowland. Clearly they were tricked, paid sqillions, or both to show up. Watching them trying to pump up their teams hip hop style with the "give it up y'alls" and the "Yeeeeeahs" after they've stumbled about on the dance floor is embarrassing. Unable to add any cred to the show, they end up sounding like an infomercial, and are up there in tv sales folklore with Mr. T selling the Flavorwave Oven. If you watch closely enough you’ll notice the sympathetic glances between Kelly and Jason of "Get me the F*** Outta Here!!!" And its not just the dancing which makes this talent quest more high school dance than soul train summer boogie down. Put aside all the battle distractions, and essentially you're left with a lamer version of Australia’s Got Talent, with a much smaller budget and worse performers. After years of SYTYCD and AGT, the barrel is well and truly scraped when looking for new dance talent. The staging of this show is almost as bad as the concept, in what is assumed to be an attempt at a GoGo Disco set, clearly someone raided a dumpster and found the old sets from Now You See It, and then got a group of 14 year olds to make some 'youth' inspired enhancements with green cellophane. The very things that they have tried to inject into this show to set it apart from others like it, are the very things that make such an epic flop. Dance competitions are a crowded genre, but maybe this show could have had legs if it had just been normal, but all the hoopla, balling and shouting make it fake, painful and low rent. One week on air and its already moved time slot on its way to oblivion. Did anyone NOT see this coming? It'll be lucky to make Channel 11.